Aisha Walker was left with a black eye and seven shattered teeth. Police in Winnipeg are asking for help identifying this man. Winnipeg police need help tracking down the man accused of punching a woman "at full force" on the bus. 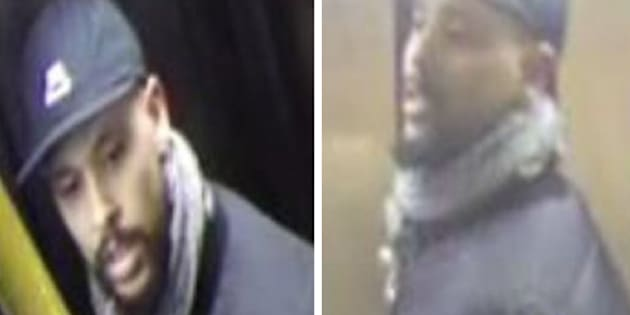 The man, pictured in new police photos above, caused "significant injuries" when he hit Aisha Walker in the face on Nov. 4, police said in a news release. Walker was trying to prevent another man from sexually harassing a passenger on the bus, she previously told HuffPost Canada. After more than 10 minutes of arguing, the suspect got involved and started threatening her, she said. Then he punched her "directly in the mouth." The 28-year-old mother was left with a black eye and seven shattered teeth — some of which were so badly damaged, the nerves were exposed. "It literally hurts to breathe," Walker wrote on a GoFundMe page, where she was crowdfunding money for dental work and extra child care. Aisha Walker was trying to help a woman who was being harassed on the bus when another passenger got involved and hit her in the face on Nov. 4, 2017. Despite what happened, Walker said she wouldn't hesitate to stand up for women again. "I really can't sit by and watch that happen to someone right in front of my eyes."